A nurse by background, Diane joins us from Barnsley Hospital NHS Foundation Trust where she was chief executive since 2013. She has extensive experience in both clinical and leadership roles. Previously, she was interim CEO at Royal Liverpool and Broadgreen University Hospital NHS Trust, where she also worked as Chief Operating Officer and Executive Nurse. Educated at Wombwell High School in Barnsley, Diane went on to carry out a pre-nursing course at Barnsley College, where she undertook some placements at Barnsley Hospital. Following that, between 1984 and 1987, she trained to be a registered nurse at Doncaster Royal Infirmary, quickly rising through the ranks to become a staff nurse, and then matron, in surgical specialties. 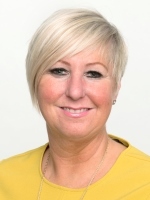 Diane soon became a general manager, before joining Mid Yorkshire Hospitals NHS Trust as Deputy Director of Nursing and then onto interim chief executive in Liverpool before her appointment as CEO of Barnsley Hospital. Diane lives on the Shropshire/Cheshire border with her partner, who is a medical director. 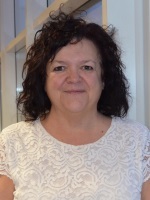 Karen joined us in January 2018 from Barnsley Hospital NHS Foundation Trust where she held the post of director of operations. 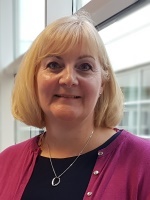 A graduate of Keele University, Karen qualified as a nurse in 1993 and worked for more than 20 years at the University Hospital of North Staffordshire. She became part of the Transformation Team tasked with turning around Mid Staffordshire NHS Foundation Trust – becoming Head of Nursing there in 2010. Following this, she held the post of Medical Nurse Director, followed by deputy director of operations at The Royal Liverpool and Broadgreen University Hospital Trust. 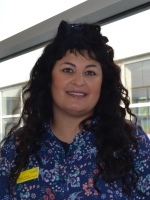 Karen is passionate about quality of care being delivered that ensures our patients are safe. Tom joins us from NHS Liverpool Clinical Commissioning Group and brings with him more than 25 years’ experience in NHS finance. A Fellow of the Chartered Institute of Public Finance, Tom has fulfilled a number of financial leadership and transformation roles in the NHS. He has worked in most core NHS finance roles and has spent the last eight years at director level. In his previous role as chief finance officer, he provided strategic advice on financial management and played an active role to implementing the corporate strategy. Motivated by adding value, transformation and system working, Tom is excited at the prospect of supporting the Trust to improve services for the people of Dudley. Andrew has worked in the NHS for more than 20 years and has held two board-level positions in the West Midlands. 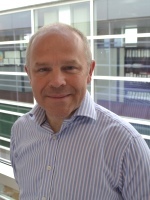 He joined the Trust from Heart of England NHS Foundation Trust where he was Deputy Director of Workforce. He graduated from university in Glasgow with a degree in Law and also studied labour management relations in the United States. 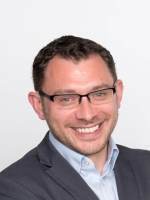 Andrew is a member of the Chartered Institute of Personnel and Development and is also a recent graduate of the NHS Nye Bevan programme for senior leaders. 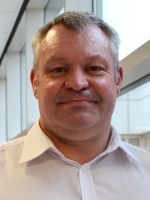 Julian has joined us from Royal Liverpool where he has been deputy medical director and has been since 2013. 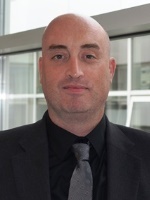 Julian is also a deputy medical director and leads on Mortality for Cheshire and Merseyside area team at NHS England. Julian is a consultant cardiologist by background and has worked at Liverpool Heart and Chest Hospital alongside his current roles. Julian has had extensive experience in medical management roles for several years. He grew up in the Midlands area and is looking forward to returning, and hopes to fit in some running and cycling in Cannock Chase. 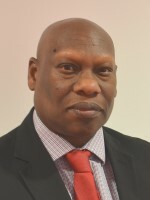 Gilbert joined us in November 2018 as the interim director of governance and has been a chartered secretary since 1993. His experience includes working across the NHS landscape including acute, community health, and clinical commissioning groups providing strategic advice and support to boards, chairs and chief executives covering all aspects of corporate and clinical governance and specialising in risk management. Gilbert has more than 15 years’ experience of working at board and executive level, for both NHS and Quasi-Autonomous Non-Governmental Organisations (QUANGO) including being an executive director for the Third Sector with direct oversight from Her Majesty’s Cabinet Office reporting to the then Cabinet Office Minister Ed Miliband. Mary joined the Trust as interim chief nurse in January 2019. An experienced corporate lead for quality and governance, she brings with her more than 12 years’ experience at executive level. She joins us from North Middlesex University NHS Trust where, as director of nursing and midwifery, she reviewed the complaints and PALS process reducing overdue complaints by 60 per cent. She also provided robust oversight of the nursing taskforce resulting in improved nursing and midwifery spend. Mary, who began her career as a staff nurse at East Surrey Hospital in 1983, has worked in a variety of settings including acute, community and mental health at local and regional level. An honorary professor for the School of Health and Education, she has extensive experience in service transformation and professional standards and acts as a specialist professional advisor with the Care Quality Commission (CQC). Natalie has joined us from Lincolnshire and District Medical Services (LADMS) where she held a joint role of Commercial Director with the GP Federation and Mental Health Trust since 2011. Natalie originally started her career working within social welfare, housing benefits and family liaison and moved into Local Authority working with enterprise. Natalie then entered the NHS in 2010.